One of the aims of the Natolin campus of the College of Europe is to give students the opportunity to participate in a variety of extracurricular activities and events. They range from international conferences, high-level guest lectures, round-table debates, cultural performances as well as events on special occasions like graduation. 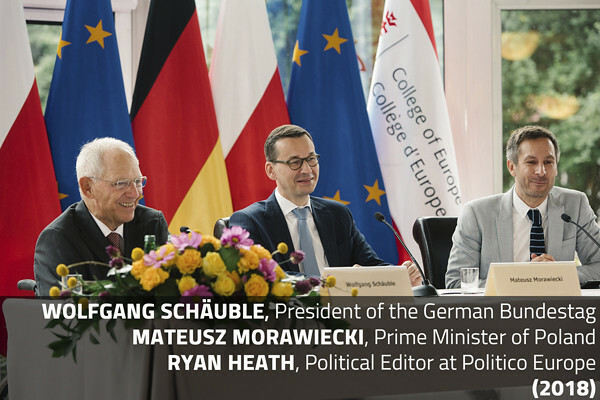 Over the academic year we organize events that bring together high-level experts and outstanding academics with an interest in the EU’s enlargement, neighbourhood and foreign policies as well as European history and culture. In this way, students have a unique opportunity to confront their opinions and ideas in debate with leading practitioners and scholars. Some of these events are also live-streamed. This allows us to share them with College alumni and other external students and guests. Cultural events range from music performances and exhibitions to meetings with interesting personalities. Their aim is to show cultural diversity and richness and give students the opportunity to become familiar with the heritage and traditions of the countries of origin of their colleagues and of their host country, Poland.